If you’ve spent much time in role-playing games – especially Elder Scrolls games – chances are you’ve honed your solo adventuring skills to a fine edge. Most games of the genre are singularly, er, singular affairs, where it’s you against the world. And maybe you think those skills wouldn’t transfer to the massively multiplayer universe of The Elder Scrolls Online. But nothing could be further from the truth. 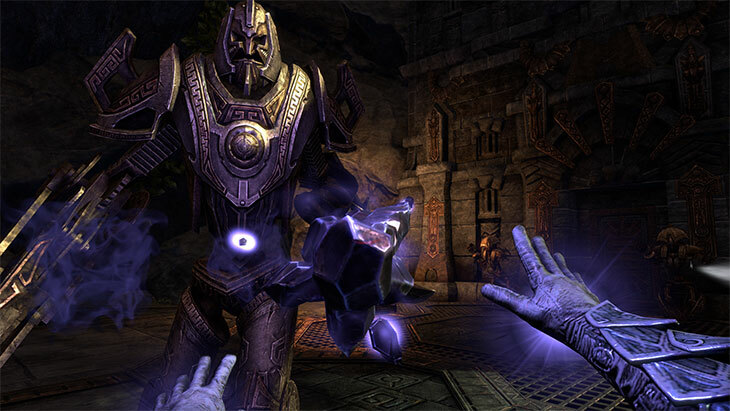 The Elder Scrolls Online is, first and foremost, an Elder Scrolls game, and that means fans of previous games like Skyrim – and of RPGs in general – will find plenty that’s familiar. 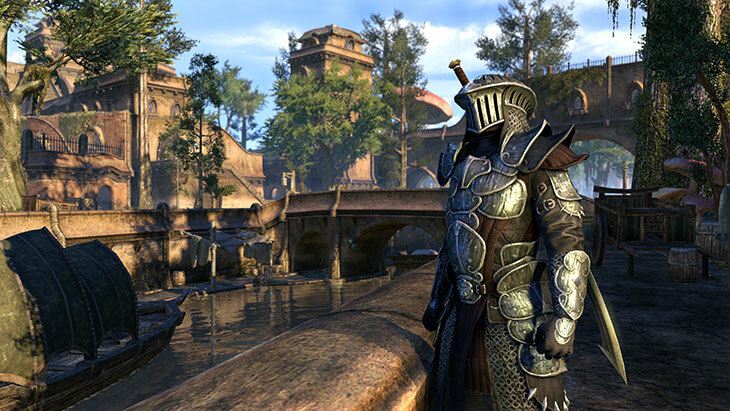 And that goes double for ESO’s newest chapter, Morrowind. 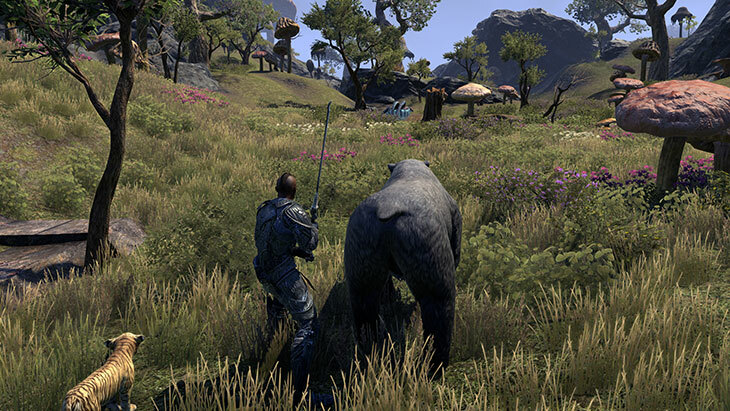 That said, a few tips can help make the transition to ESO: Morrowind just a bit smoother for the solitary player. So here are seven ways to get up to speed as quickly as possible. If you’re looking to roll into Morrowind solo, you’ll want to make sure you craft the right character for the job. 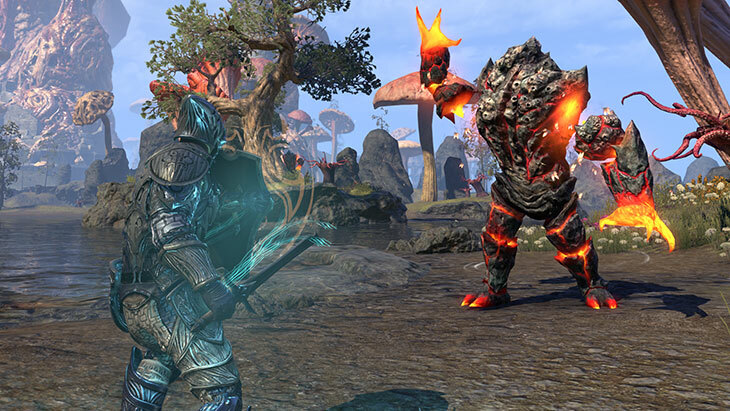 To be sure, any class in The Elder Scrolls Online can hold its own in a fight, because you can build any character to take on any of the traditional RPG roles (like tank, healer or damage-dealer) – or to be a genera-purpose solo character – thanks to the wide variety of abilities available to each class. That said, you might want to consider the new class that arrives with Morrowind: the Warden. Wardens are one of the most entertaining options for playing solo for two reasons. One, some of their offensive abilities can be upgraded to also confer defensive benefits, like healing or replenishing stamina. And two, fairly early in their adventure, Wardens have the chance to unlock the Feral Guardian ability. This gives you the ability to summon a bear to fight alongside you. Yes, a bear. So even playing solo you won’t have to be alone. Now, neither of these concepts are exclusive to the Warden; any dual-wielding character can upgrade attacks to also replenish health, for example, and the Sorcerer can summon all manner of magical beasts. But if you’re just starting out as a solo player, the Warden is a fine choice. Morrowind is big, and loaded with interesting new places to explore. But while getting there might be half the fun, sometimes the journey can be perilous when you’re riding solo. Fortunately, you’ll find a few extremely handy ways of getting around. First are the Silt Striders, unique to Morrowind. 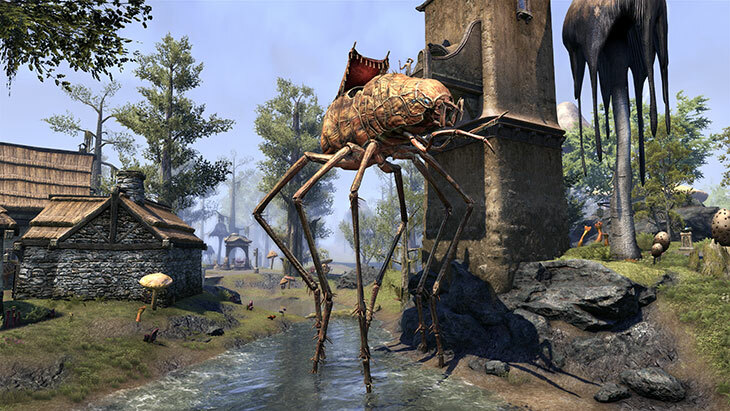 These enormous insect…things… are domesticated to travel between towns, letting you take shortcuts to most of the major settlements on Vvardenfell. Some towns also have boatswains who can sail you quickly to other ports. And then there are the Wayshrines, which let you teleport to any other Wayshrine you’ve discovered, anywhere in Tamriel. Since speedy and safe travel is particularly beneficial to the solo player, a network of unlocked Wayshrines can be a huge help. So take advantage of the Silt Striders and boatswains to visit new territory, then find the nearest Wayshrine so you can teleport there at will. There’s no better way to minimize travel time – and danger. 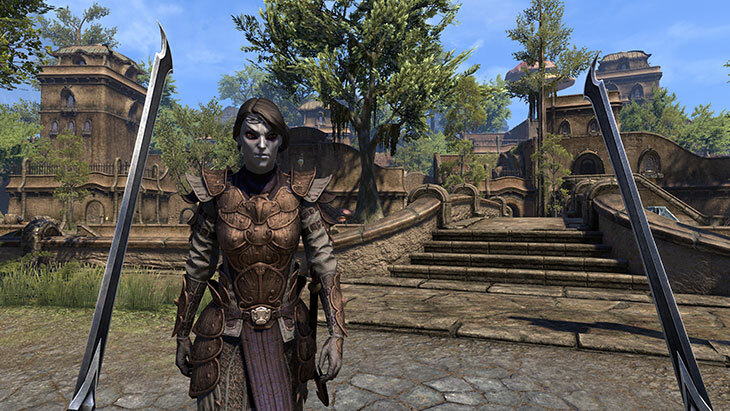 If you’ve dipped your toe into online RPGs in the past, you may be astonished to discover how much story content is packed into The Elder Scrolls Online. And that goes double for Morrowind, an area particularly well-suited to the story-seeking player. From rescuing slave workers from a corrupt government all the way up to saving the whole island of Vvardenfell from destruction, Morrowind is positively loaded with quests – each of them substantial, complex and fully voiced. And if that isn’t enough to draw you in, you should also know that completing quests can get you some seriously top-notch gear – which makes them especially useful for solo players who don’t have a group to trade items with. So look for those lovely black-and-white arrows, and experience all the story content that Morrowind has to offer. Traveling the wilds of Vvardenfell all by your lonesome means you’ve got no one watching your back but you. As a result, you’ll want to make sure you’ve got the tools to address any situation. In other words: Pick up everything that isn’t nailed down. Nothing in ESO is worthless. Weapons and armor can often be sold for gold, or you can deconstruct them at the appropriate crafting station for raw materials (and a bit of experience in that crafting skill line). Ingredients can be turned into potions and foods (provided you know the recipe), which you can sell or keep for your own use. Even items classified as “trash” can usually be sold for a few pieces of gold. Now, like all Elder Scrolls games, you can’t simply stuff your pockets beyond bursting: eventually you’ll need to clear out some inventory. But if you’ve been diligent in unlocking Wayshrines, you should find it relatively easy to teleport to a civilized area with plenty of craft tables and merchants – including merchants who can sell you more inventory space. And don’t forget that you can stash crafting materials in your bank account in-game, which makes the materials available to you at any crafting station. After a few hours of grabbing everything in sight, you’re going to find yourself building a nice little nest egg. But don’t go crazy buying fancy new gear quite yet, because there’s one thing you should really be saving up for: a mount. 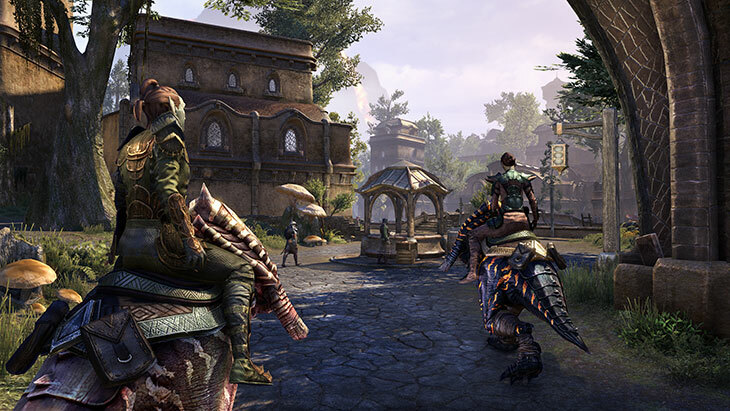 While anyone can enjoy the undeniable panache of galloping through town atop a majestic steed, mounts are particularly useful for solo players. First, mounted players can cross great distances more quickly, making exploration even more entertaining. Second, mounts can hustle you out of trouble a bit more quickly than you can run, which makes it easier to stay alive if you unexpectedly intrude on a convention of Fetcherfly Hive Golems. And you can train them to be even faster by visiting any stablemaster, which brings us to our third point: Stablemasters can also help you increase your steed’s carrying capacity, giving you even more space in your inventory. Best of all, you can summon your mount instantly from just about anywhere outside. Sure, at 10,000 gold for the entry-level model, mounts don’t come cheap. But they’re so very worth it. If you were playing in a group, you’d probably have at least one of your teammates keeping you boosted with bonuses to health, defense, recovery and the like. But you’re rolling solo, so you’re going to have to take care of your own buffs. Fortunately, ESO has plenty of options in this regard. Foods and drinks can temporarily increase your pool of Magicka, Health or Stamina, or increase the rate at which they recharge. Potions can increase damage or damage resistance, or confer additional effects like increased speed or invisibility. And should you come across one of the Mundus stones scattered across Tamriel, you can enjoy a pretty-much-permanent perk – though only one at a time. As a solo player, every little boost helps, so head over to your Character screen and make sure you have as many beneficial effects active as possible. Now, in the unlikely event that the above tips don’t give you everything you need to make it on your own in Vvardenfell, don’t despair. Perhaps there’s a beast you just can’t manage to slay. Or maybe you’re deep in a dungeon and realize your gear is in dire need of repair. Or maybe you just fancy a bit of a shortcut. 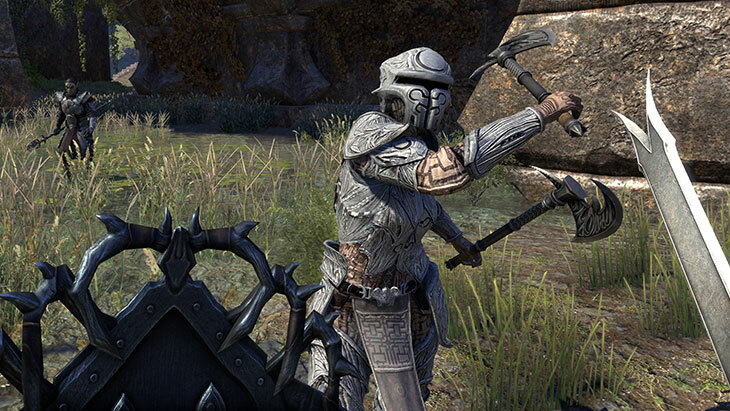 Chances are good the Crown Store has what you need. 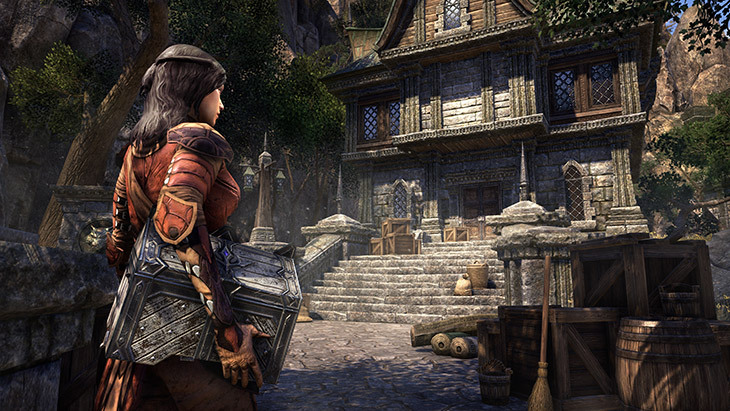 From repair kits to powerful healing potions, from nutritious meals to scrolls that help you level up quicker, from soul gems to poisons, the Crown Store has anything you might require – or desire. You can even buy extra bag space, or max out training on your mount. Or buy a mount outright, for that matter. And if all that doesn’t help, well, don’t forget: You are adventuring alongside thousands of other players. 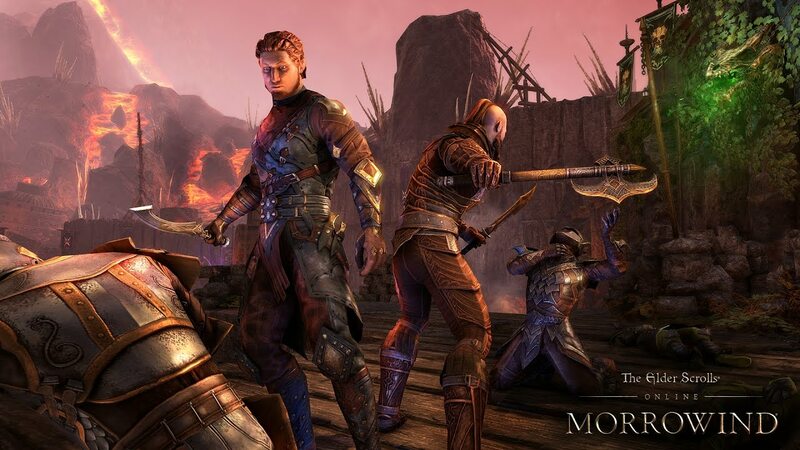 You’ll have lots of opportunities to team up in the moment – without any formal grouping – in places like Dolmens, public dungeons, and world bosses. You might even see a passing player jump in to help with a random encounter. And you just might find that one of the best things about playing solo is playing solo alongside someone else.